The season of spring just lights up my life. It is my absolute favorite. I like the colors of fall with its cooler temperatures, and I find pleasures in the hot summer and cold, icy winter. But spring . . . it just makes me smile from the inside out. As I go about my days and my duties, there are so many good things I am enjoying now. So why not share. 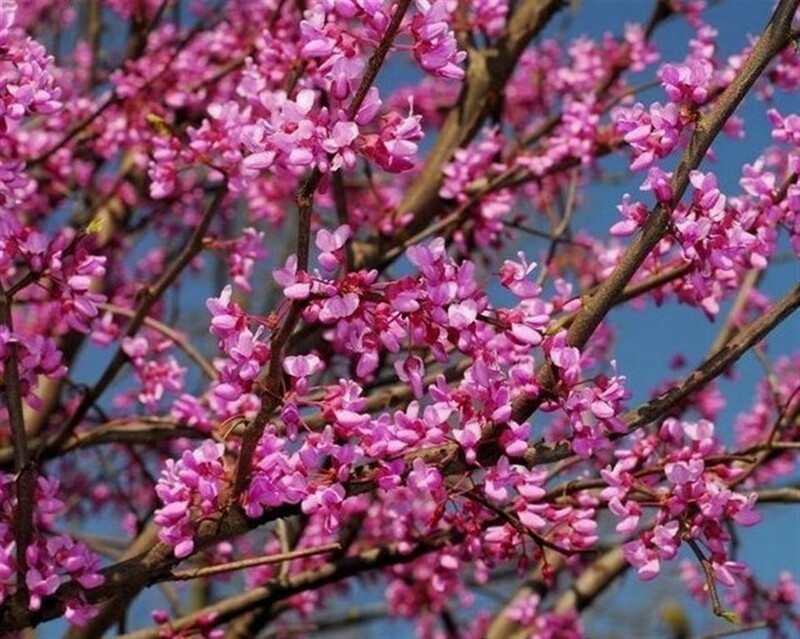 The red bud tree in the front yard was planted the year my eldest granddaughter was born. I went to the woods that spring with my friend, Ms. Caroline, and she let me dig up the tree from her property. The tree means so much as I remember both of these special people. It’s a fine thing that my Lowes is now on the same road as our new Wal-Mart. Two-stop shopping convenience is such a good thing. Driving along Eastern Parkway is eye-candy, jewel-tone azaleas mixing with gentle pink and white dogwoods. A day with my Sweet William is grand, even if it is only half a day, when we run errands, shop for necessities and get home into time for a cup of afternoon coffee. Simple pleasures for the two of us sometimes feel like a miracle. I met my aunt for lunch at a new-to-me restaurant that surprised my taste buds with pleasure. The company was nice too. I enjoy pulling weeds. I know. But the process reminds me how my own life needs weeding so often. After the rain is perfect weeding time. They come up more easily, reminding me that the washing of the water of the Word does the same for my heart. Open windows with breezes blowing fill the house with the outside freshness. My piano students are preparing for their recital. They work so hard to “polish and shine” their songs and we enjoy the process. Yard sales are popping up all over. My first yard sale of the season is quite exciting and special whether I buy anything or not. Spring flower sales are just around the corner. I have plans for them soon with a good friend who shares my love of all things green. Bible study in our home is a new concept for me this year. I am in the midst of the second one and am finding it a joy to welcome sister-friends here for fellowship and a good dose of Truth. Birds are singing in the early, early pre-dawn. I like to open my window and listen for the first one who seems to signal the rest of them to join in the chorus. Life is just full of good things, gifts God has given already and new ones He pours out daily. The changing seasons are opportunity for me to take notice, to look up and give thanks. Martha Stewart isn’t the only one who has good things. The invitation is open for your thoughts. I enjoy hearing what you’re thinking.